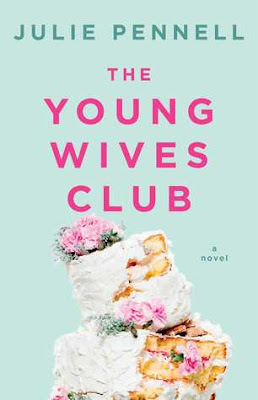 When the opportunity to read The Young Wives Club showed up in my inbox I couldn't say no. The synopsis sounded really good, I love "southern" themed books and seriously if someone is going to compare it to The Divine Secrets of the Ya-Ya Sisterhood, a book I totally loved, then how could I not take a chance on this new author? There are so many things I enjoyed about this book. I loved each girl and their individual storyline's but what I thought added depth and humor, what kept me hooked, was the friendship between each of them and seeing their stories weave in and out of one another. What's even better is Julie Pennell does this effortlessly, making it very easy to follow along and not feel lost. Four girls, each of them young, each of them in love, and each of them with their own set of unique challenges. Their stories perfectly capture the essence of what those first few years of marriage are like, you know once the "fantasy" of it all wears off. It's a story about being honest with yourself and your spouse. It's a story about the importance of not loosing yourself once you say "I Do." It's a story about digging deep and pressing forward when things get tough, when life suddenly takes you down a road far, far away from your dreams. I found The Young Wives Club to be a fun, easy, somewhat predictable (which I didn't mind at all) and very heartwarming read. My absolute favorite part of the book was the ending. Julie Pennell executed it perfectly. I "turned" the last page and closed the book with a huge grin on my face, with the idea to start giving the book as a bridal gift!